There are an abundance of Ecuador attractions. This is especially due to the geographic diversity. There really is something for everyone! Whether you're looking for eco-tourism or a big adventure trip or you just want to lay back and relax you're sure to find something you'll love. 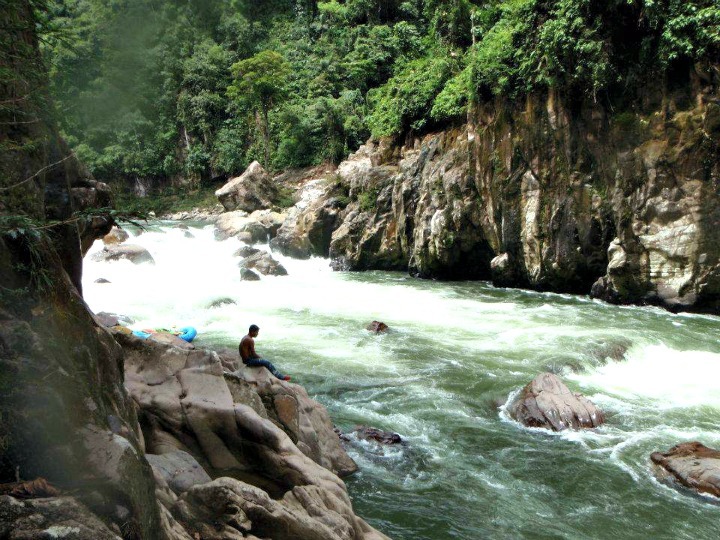 My personal favorite in the Ecuador adventure category is white-water rafting or kayaking in the jungle. Actually it could go under the eco-tourism category as well, because the scenery is amazing! Some tours even include short jungle walks. Mountain/volcano climbing for the serious climbers. Hiking for the rest of us either in the mountains, to see beautiful waterfalls, or on jungle excursions. 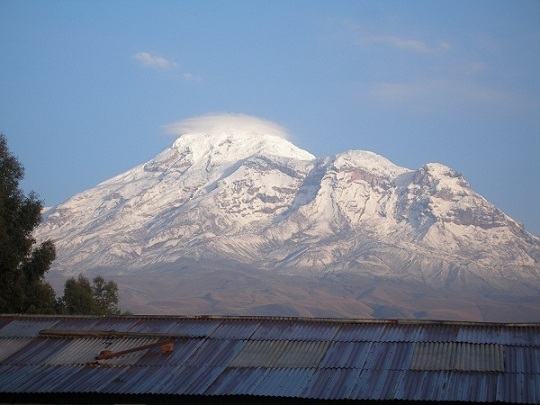 Chimborazo - The highest point on the planet when measured from the center of the Earth! Did you know that Ecuador has one of the largest varieties of hummingbird species in the WORLD? just chillin' on the beach. Whatever suits your fancy. Even take in an Ecuadorian soccer game if you have time. Mitad del Mundo and stand with one foot north and one foot south of the equator. Ecuador also boasts its own Inca ruins at Ingapirca. Many cities have great museums and plenty of shopping! If you love night life, it's never missing in any city. With so many Ecuador sights to choose from, plan your time wisely to take in as many as you can! It's easy to get caught up in all there is to see and lose track of time. Each area of Ecuador has even more to offer. Check out the different subheadings for each region and city for more of what to see and do while you are in Ecuador. You can also get help planning your trip here.